Being an aspiring student, if you have passion and interest in the technical sector and go for engineering stream, then you should definitely pursue Bachelors in Technology Program. Engineering is one of the sought after career options amongst the students. It is because the course program not only offers advantages in the professional field with numerous job opportunities, high salary package and so forth, but also allows the professionals to contribute for the positive development of the society and welfare of country and citizens. There are several branches and sub-branches of the engineering, as offered by the reputed institutes in the country like IIT, IIM and many of the best universities in Rajasthan for engineering. Each of the branches offers different career paths and opportunities for acquiring advanced knowledge and skill sets. However, if you are not sure about the technical sector you want to opt for, then we are here to assist you. 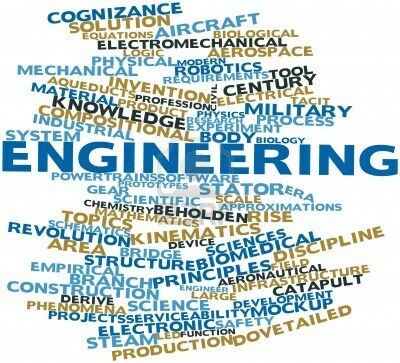 Here, in this article, we are discussing about some of the best branches of engineering that will help you to select the right one based on your passion and personal interest. Civil engineers are those professionals who contribute for the positive development of the civilized society. They get involved in the planning, designing and construction of city and state infrastructure, roads, railways and so on. Also, while handling the projects they manage the financial sector too. Mechanical engineering branch is a diverse branch and it allows the professionals to contribute their knowledge and skill sets in various fields. Basically, they work with the automobile manufacturing industry i.e. in designing and making cars, bikes and more, but now, with the demand of the time, this particular branch is merged with various other disciplines, and this allows the graduates to work in areas such as nanotechnology, biotechnology, etc. Chemical engineers work in various fields such as chemical, food, pharmaceutical industry. These engineers conduct research works and develop chemical reactions in order develop new and useful products from the raw materials that the meet the requirements of the modern lifestyle. Computer engineering is one of the most popular engineering programs amongst the aspiring students. The professionals of this particular branch deal with the designing and developing of computer programming and networking. Apart from that, they manage the information system of both the hardware and software. Electrical engineering includes the study of the electrical system and the electronic equipments. Also, the branch deals with the generation, transmission and distribution of electricity. Apart from the above discussed branches, there are various other branches of engineering, offered by the renowned institutes like, top B. Tech University in Jaipur or for that matter anywhere else in the country. These institutes prepare the students with all the necessary knowledge and skill sets, so that can meet the demands of the industry and at the same time can sketch a successful career graph.